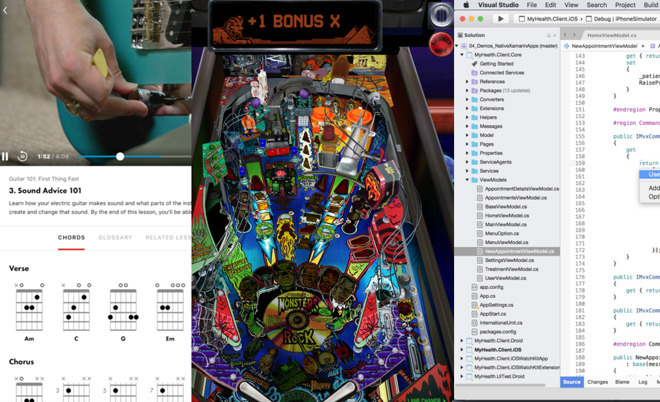 This week's app highlights include the addition of ukulele lessons to Fender Play, the Green Kitchen vegetarian cookbook, Microsoft Visual Studio for Mac, Ring's Neighbors app, and a warning of table changes for Pinball Arcade. Gmail is of course Google's popular email service, accessible via many apps and the Web. 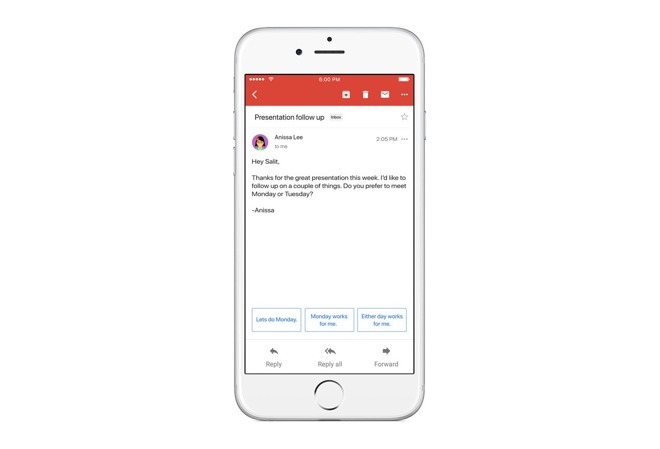 The official iPhone and iPad app now includes a "snooze" button, letting users bury an inconvenient email or a message that isn't important, and allow it to resurface at a more convenient time. Users of Google Pay can also send or request money in messages, via a new option under attachments. Users can send payment to anyone with an email address, and recipients do not need to be Gmail users at all to acquire the funds. The .NET Standard Library projects are a fully supported option for sharing code between platforms when building with Xamarin.Forms. Preview support for TFVC, TFS, and VSTS is also included, while developers also have the option of using existing Git source control integration or a new TFVC integration for code management. 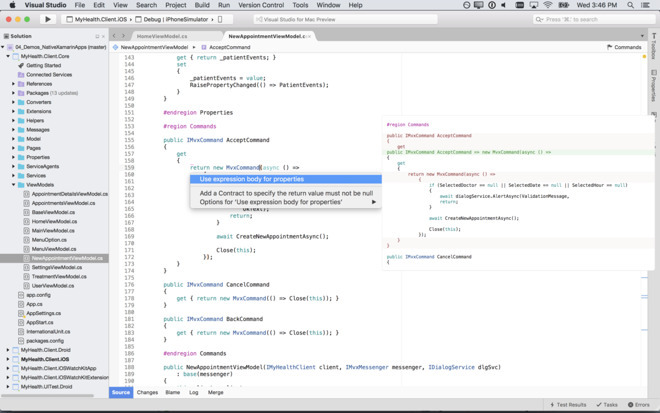 There were a number of other Visual Studio-related updates announced at the event, including other elements that could be useful for macOS and iOS developers. This includes iOS mobile development support with Xamarin in Visual Studio 2017 version 15.7, which promises to provision iOS devices for development with a single click, and rewritten iOS project templates using new navigation patterns. Get it for macOS: From $45 per month depending on payment option. 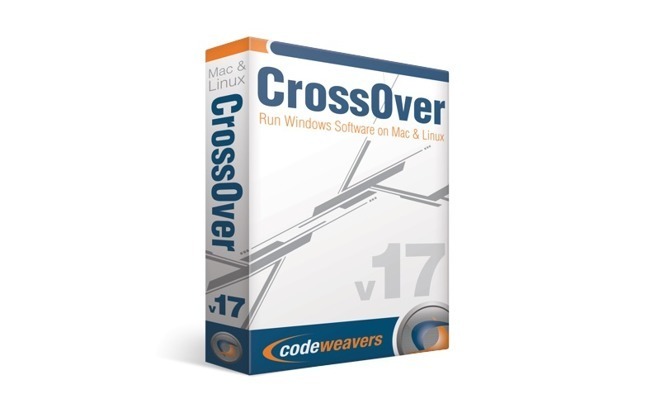 CodeWeaver's tool for running Windows software on macOS has been updated to version 17.5.0. The update is said to be the first step towards making CrossOver for macOS fully 64-bit compatible. As part of the transition, the Legacy X Window System has been removed. The feature had been used as a fallback display technology since Crossover 13 for a limited set of circumstances, and users who require support are advised to continue using an earlier version of the software. Version 17.5 also includes support for the latest version of Microsoft Office 365, with a number of bug fixes to improve Office 2016 as well. Get it for macOS: From $39.95. Developer FarSight has warned that its longstanding licenses for Williams and Bally trademarks will end on June 30, effectively halting the sale of digital pinball tables from those manufacturers. Customers who have purchased any of these tables or will do so before the deadline will continue to own and play them within the game. The company claims that licensing agreements prohibit deep sales on the tables before discontinuation. As it stands, the roster of 95 tables available to purchase will be cut down to 33 tables. Notable tables leaving the app are three tables funded by Kickstarter including "The Addams Family," "Doctor Who," and "Star Trek: The Next Generation." While the range available to purchase will be reducing, FarSight also advises it will be starting Season 8 later this summer, which will feature all the recent Stern tables in Stern Pinball Arcade and a number of other new tables. Get it for macOS: Free. Tables available separately. Requires Mac OSX Lion or later. Get it for iOS: Free. Tables available separately. Requires iOS 8.0 or later. There's a whole history of people attempting to learn to play an instrument using technology as the tutor, whether it was through the web via sites like Mahalo.com or YouTube, or apps like the lessons built into Apple's own GarageBand. The real problem is, how do you find a good teacher, with lessons that move at an appropriate pace? The old way used to be to go into a guitar store, pay a teacher 30-45 USD per lesson, and then go home and try and practice what was covered on your own. The advantage of technology is that the teacher is always accessible and just a few taps or clicks away. 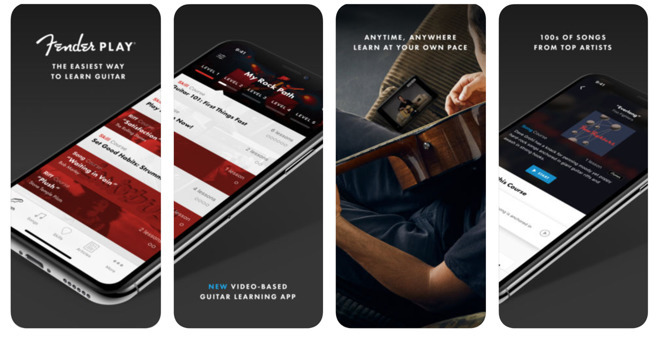 Guitar producer Fender is aware of the pitfalls and benefits to using an app, and has designed the Fender Play guitar and ukelele app for iPhone and iPad. There are loads of artists, so you should be able to find a song you'd actually like to learn. Some of the biggest problems with learning an instrument are the small successes that help a learner feel accomplished enough to keep going. Fender Play uses a micro-learning approach to encourage these small successes to keep learners inspired. The app is $9.99 USD a month, which is far less than you'd pay a guitar teacher in person, and may be just what you need to get started. Get it for iOS: Free, $9.99/mo subscription Requires iOS 9.0 or later. Compatible with iPhone, iPad, and iPod touch. Green Kitchen is a vegetarian cookbook for iOS, with beautiful photography, and step by step instructions to keep track of your cooking. There are a lot of different sorts of cooking apps for iOS, but this one regularly gets high marks from publications like Bon Apetit. Things that make it worthwhile, are the features, such as sharing ingredients via iMessage for shopping lists, and airprinting recipes if paper is your thing. Also a nice thing are the smart timers within it so that you don't have to set timers in the kitchen - the app does it for you at each step. Recipes are marked if they're vegan, gluten-free, raw, or contain whole grains. Get it for iOS: $3.99, with in-app purchases Requires iOS 11.0 or later. Compatible with iPhone 5s, iPad Air, and newer. A NASA video in 4K HDR. On the iPhone X, YouTube users can now watch videos in HDR (high dynamic range), which offers more detail in the brightest and darkest parts of an image. Videos must specifically support HDR, and in some cases viewers may have to force it through a clip's "Quality" settings. The option is still missing on 2017 iPad Pros, and the iPhone 8 and 8 Plus don't support authentic HDR. 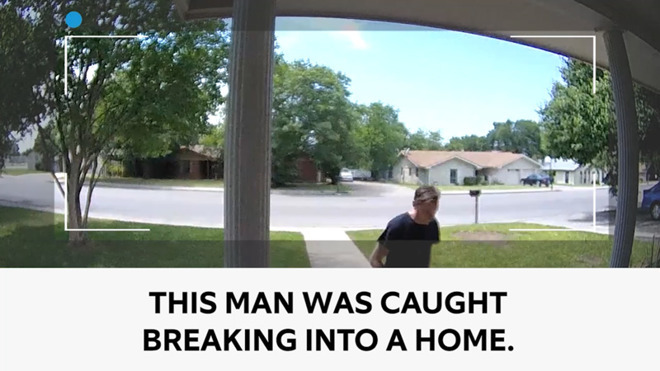 From camera-equipped doorbell producer Ring, Neighbors is a standalone app where people can share crime or safety alerts that are automatically pushed to others on its namesake social network. These can include text, photos, and videos from any device, but with a special emphasis on Ring cameras. Users can specify the size of their neighborhood to only receive relevant alerts. While most posts should come from individuals, some are submitted by Ring or even local police. Get it for iOS: Free Requires iOS 9.1 or later.